Scheduled for 23 April to 28 May 2017, the 6th HKG will cover eight sports, namely athletics, badminton, basketball, futsal, swimming, table tennis, tennis and volleyball. Preliminary rounds of some of the sports competitions will begin in March 2017. The 18 District Councils (DCs) in Hong Kong. Participants must be nominated by their respective DC and they will participate in the competitions in the capacity of that DC. Note: Holders of “Hong Kong Identity Cards” must have records of their first entry to Hong Kong, such as One-way Permits or passports, showing their arrival in Hong Kong before March 2014 to prove that they have resided in Hong Kong for 3 years or more. Participants must reside in the district of their respective DC (proof of place of residence is required). Each athlete can participate in the selection competition of only one district and can represent only one district in the HKG. Those athletes who participated or will participate in any of the sports competitions of the Olympic Games (excluding the Summer Youth Olympic Games), the Asian Games, the National Games of the People’s Republic of China (excluding the under-18 basketball, the 16-19 volleyball and the under-20 football competitions), the World Championships (excluding the World Youth Championship) or the Asian Championships (excluding the Asian Youth Championship) between 2014 and 2017 are not eligible to participate in the corresponding sports competitions of the HKG. Those tennis athletes who participated or will participate in the tennis competitions of the Davis Cup or the Federation Cup between 2014 and 2017 are not eligible to participate in any tennis competition of the HKG. Those athletics athletes who participated or will participate in the Asian Indoor Athletics Championships or the IAAF World Indoor Championships between 2014 and 2017 are not eligible to participate in any athletics competition of the HKG. Those athletes who participated or will participate in the futsal events of the World Cup Qualifier, the AFC Asian Cup Qualification Round, the Asian Indoor Games or the East Asian Football Championships between 2014 and 2017 are not eligible to participate in any futsal competition of the HKG. 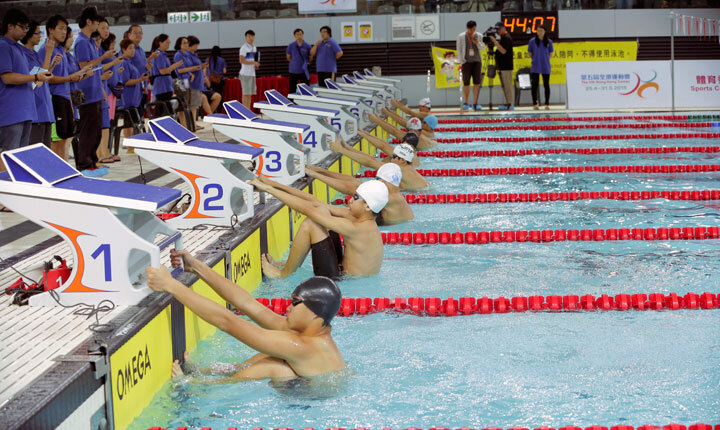 In the event that an athlete, who has been selected to represent a district in the HKG, is nominated by the relevant national sports association to participate in any of the competitions specified in items 5 to 8 above before the team leaders’ meeting of the relevant HKG competition is held, he/she will become ineligible for the corresponding sports competition in the HKG. Nevertheless, the respective DC has the right to nominate a replacement athlete. If the athlete is selected to participate in any of the competitions specified in items 5 to 8 above after the team leaders’ meeting of the relevant competition is held, he/she will remain eligible for the corresponding sports competition in the HKG. Serving professional athletes are not eligible to participate in the HKG competitions of the sports they are engaged in. Note: Professional athletes are those who are employed under a full-time paid contract by any institution or company as an athlete, excluding the full-time athletes who are undertaking training and receiving subvention or subsidy offered by the government or relevant organisations (such as the Hong Kong Sports Institute, the Sports Federation & Olympic Committee of Hong Kong, China, and national sports associations). Participants in the athletics competition must be born in or before 2007 but those who take part in the 5 000m events must be born in or before 2001. Participants in the basketball competition must be born in or before 2003. Participants in the volleyball competition must be born in or before 2005. Participants in the futsal competition must be born in or before 2002. Participants of all ages are welcome to enter the table tennis, badminton, swimming and tennis competitions. 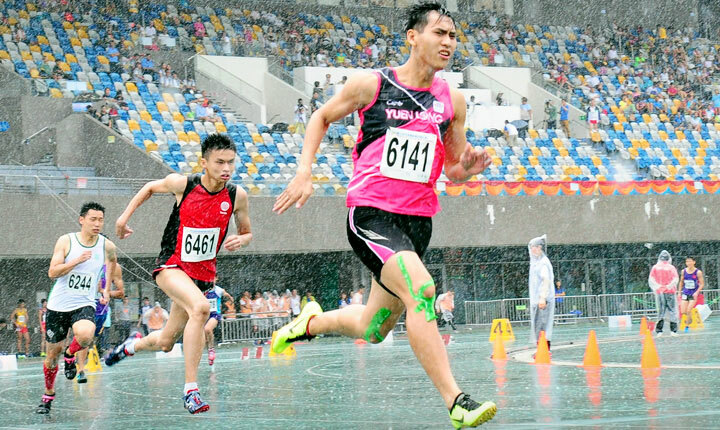 Starting from June 2016, the 18 DCs will select the residents of their respective districts who meet the eligibility requirements mentioned above through open district athlete selection to represent their districts in the sports competitions of the 6th HKG. Those who are interested in representing their districts in the competitions are welcome to enrol. Prizes will be awarded to the Champion, 1st Runner-up and 2nd Runner-up of each competition. From the Champion to the 7th Runner-up of each competition event, each winner will score 10, 8, 7, 6, 5, 4, 3 and 2 points respectively, i.e. the Champion will score 10 points, the 1st Runner-up will score 8 points, etc. until the 7th Runner-up will score 2 points. The remaining participants/participating teams who have successfully finished the competition event will score 1 point. The points awarded for the team events (excluding the basketball, volleyball and futsal competitions) will be doubled, i.e. the Champion will score 20 points, the 1st Runner-up will score 16 points and so forth. If a participant/participating team is disqualified by the Organiser due to misbehaviour or fails to turn up for a competition, no point will be awarded. The top 3 districts with the highest accumulated points in each of the sports competitions will be the Overall Champion, 1st Runner-up and 2nd Runner-up of the respective sports competition. The district achieving the greatest increase in the accumulated point over the last HKG will be awarded the “District with Impressive Progress” prize for the respective sports competition. Note: Since there is only men’s event for the futsal competition, the Champion of the futsal competition is the Overall Champion of the futsal competition. The district which is the Champion (i.e. the “Overall Champion”) of a sports competition will score 10 points, and the 1st to the 7th Runners-up will score 8, 7, 6, 5, 4, 3 and 2 points respectively. The 8th to the 17th Runners-up will score 1 point. The top 3 districts with the highest accumulated points from all the 8 sports competitions will be awarded the prizes for the “Overall Champion, 1st Runner-up and 2nd Runner-up of the 6th Hong Kong Games” respectively. If there are districts with the same accumulated point from all competitions, the one that holds more first places will win; and if they hold the same number of first places, the one holding more second places will win. The same method applies until the overall positions are determined. If all the results are the same, the districts concerned will be awarded the same position and presented with the same prize. The “District with the Most Gold Medals” prize will be awarded to the district that obtains the most gold medals in the 8 sports competitions. If the number of gold medals obtained is the same, the districts concerned will be awarded the same prize. The “District with the Best Progress” prize will be awarded to the district achieving the greatest increase in the accumulated point from all the 8 sports competitions over the last HKG. The “District with the Best Sportsmanship” prize will be awarded to the top 3 districts with the highest average attendances of participating athletes in all the 8 sports competitions. The "District with the Strongest Cheering Squad" prize will be awarded to the district represented by the cheering squad with the highest attendance on the competition days.